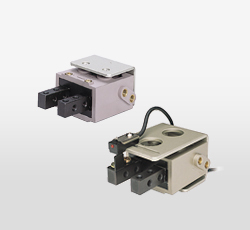 Normally open miniature stainless gripper. Cut, shave to customize fingers to meet work shape. 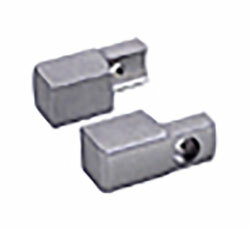 Normally closed miniature stainless gripper. 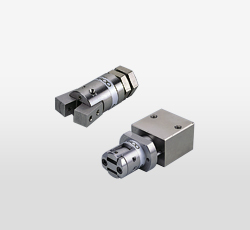 Angular gripper in 2 shapes and 3 sizes for machine hand. 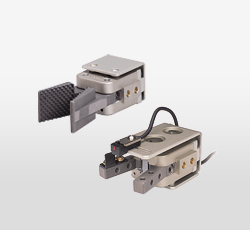 Parallel gripper in 3 sizes for machine hand. 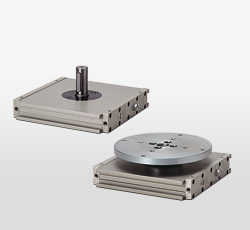 90 or 180 degree rotary actuators in 3 sizes.